In 1885 Alfred Lawrence, as an adventurous junior clerk, became Australian representative for the giant British General Electric Company and was soon to found the electrical company which would bear his name for a century and more. Lawrence had been asked to go to Australia soon after joining the company. The British General Electric Company had asked for a volunteer from among the company’s staff but it seems no-one was keen to travel Down Under. Alfred Lawrence was not exactly press-ganged into taking the post but was told that such an opportunity might only be presented to a man once in a lifetime; he took the job. On arrival, Lawrence tramped the streets of Melbourne taking orders for BGE and relaying them back to London via telegraph but it was arduous work and failed to satisfy his ambition. 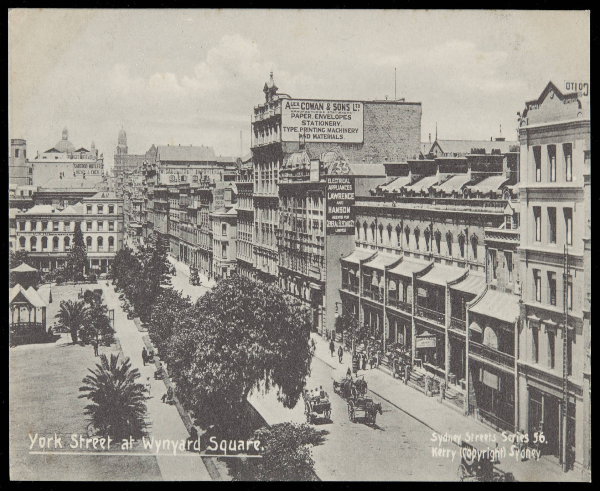 In 1886, Lawrence moved to Sydney and opened the doors of ‘Alfred Lawrence, Electrical Merchants, Engineers & Importers’ for trading on 19 November in Wynyard Street. Lawrence had only been in business for little more than a year and was incredulous as the much sought after lighting goods literally came in the back door from the wharves and were carried out the front by willing customers. Canny Lawrence saw what was about to happen – Sydney was about to run out of lighting. Backing his judgement and using his own capital plus some from close friends, Lawrence cabled a rush order to England for several thousand pounds worth of lighting equipment – lamps, cable and fittings, and by the time it arrived some weeks later, young Alfred virtually held the only substantial stocks of lighting equipment in the city. It was a tremendous windfall and greatly helped establish the business which had struggled. The year was 1889 and that electric lighting pioneer Sir Henry Parkes was making his first passionate plea for ‘a great national government for all Australia’ during an address at Tenterfield, NSW. A mutual friend, Arthur Cox, introduced Alfred Lawrence to Arthur ‘Jerry’ Hanson, suggesting the two men form a partnership. Both men could immediately see the advantages – Lawrence was both snowed under with work and short of capital to do anything about it. Arthur Hanson brought a much-needed energy and acute accounting and business acumen to complement Lawrence’s practical knowledge of all things electric. 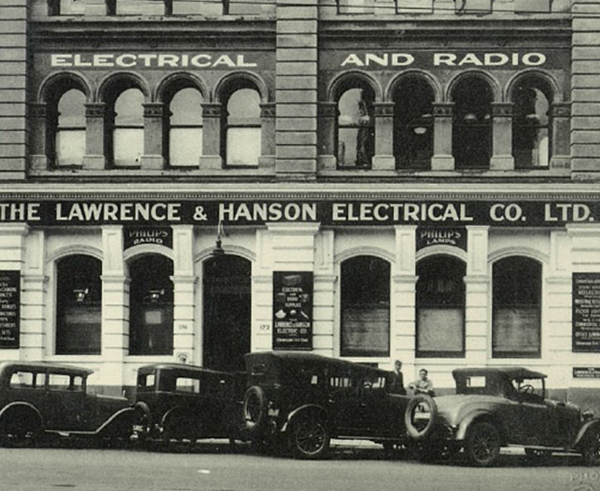 That year ‘The Lawrence & Hanson Electrical Company’ went up on the shingle in Wynyard Street for the very first time. 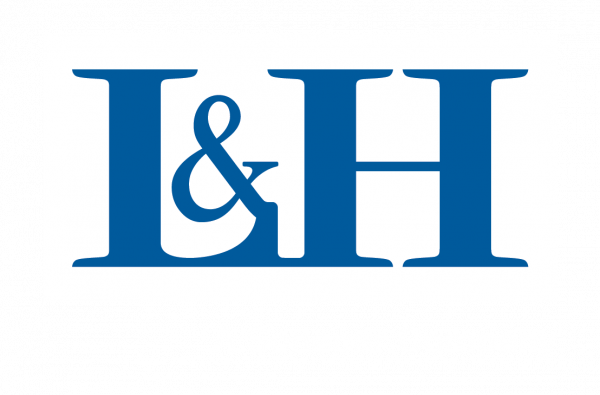 Sonepar is an independent family-owned company with global market leadership in B-to-B distribution of electrical products, solutions and related services. 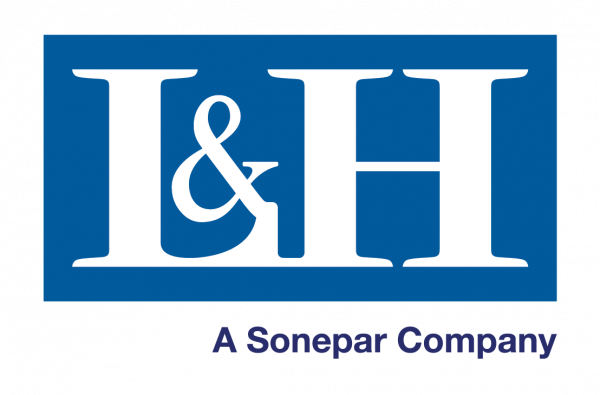 Assisting customers in a wide range of markets and drawing on the skill and passion of its 44,500 associates, Sonepar has sales of €21.6 billion (as of December 31, 2017). 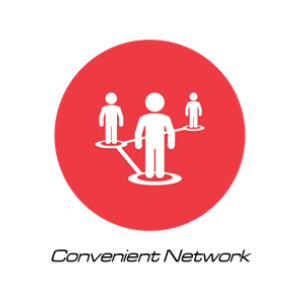 Through a dense network of 167 operating companies spanning 44 countries and 5 continents, and the digital solutions developed, the Sonepar Group delivers greater service and enhanced customer relations every day. Sonepar’s ambition is to become “La Référence” – the standard-setter for all its stakeholders. Since 1886 we’ve been supplying quality products to customers across multiple market sectors, including residential, commercial and industrial. 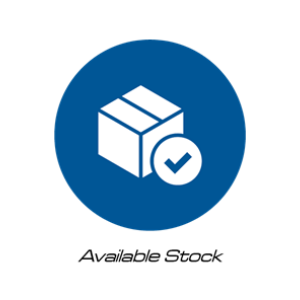 We know how important it is to have available stock every time you visit one of our branches, so we stock a consistent range of your everyday items from leading industry brands that are certified to Australian Standards. 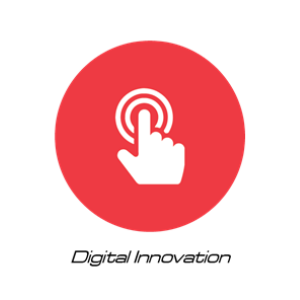 We pride ourselves on being at the forefront of innovations especially when it comes to digitalising the way you run your business. We have a range of digital solutions that can improve your day to day efficiencies and let you focus on the things that really impact your business, servicing customers. We know how quickly things change in this industry and we’re here to assist your business to adapt and move into new growth areas. 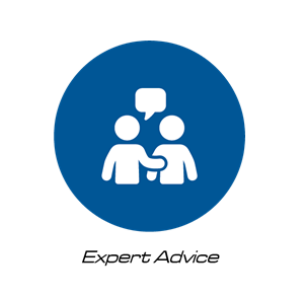 We not only train our own staff but have access to a wide range of training and education solutions that can assist you and your business, ensuring you’re always up to date with latest products and services available. Our National coverage means no matter where you are, we are there too! 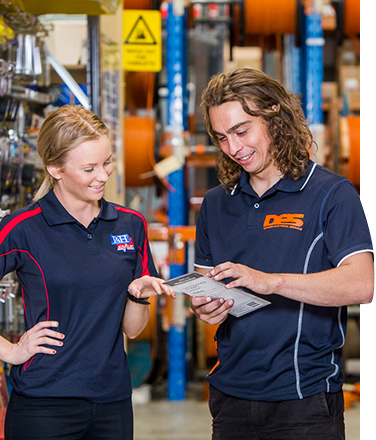 We have branches strategically located across the country to ensure we’re never too far away to service your next job. Finding a local branch is easy, just visit our branch locator on our website. 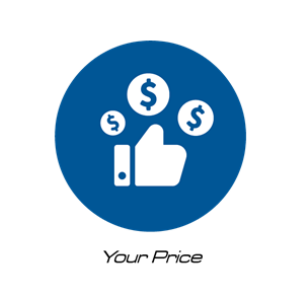 We know you want your price to be the right price every time you shop with us. We’re working hard so that you can trust us to provide you with consistent pricing no matter the size of your business or the market you operate in.